S S Health Care Products (SSHCP) is one of the renowned Anaesthesia Workstation Manufacturer from Kolkata.S S Health Care Products (SSHCP) an ISO 9001: 2008 Certified company manufacturer & Supplier of ISI Mark & CE Mark (UK) Best quality Anesthesia Workstation & Related Accessories, OT Tables (Hydraulic & Motorized),CE Mark OT Lights (Halogen & LED ) ,Also doing Medical Gas Pipe Line Installation and supply of Gas Pipe Line Accessories, Hospital Furniture’s, Sterilizers, Surgical Instruments, ECG Machine, C-Pap, Bipap, Multipara Monitor, Pulse Oxymeter, Diathermy & Other Hospital Equipment at 340 Ho- Chi- Minh Sarani (236/48, Biren Roy Road West), Shibrampur, Opp- Sarada Park, Kolkata- 700 061, West Bengal. S S Health Care Products (SSHCP) assures their customer of their accurate, safety and sophisticated appliances within the scheduled time with very competitive prices. The S S Health Care Products (SSHCP) is renowned for its high level after sales service with prompt and urgent basis anywhere and anytime. Continuous improvement in quality, promptness in sales & service, maintaining the standardization of the products in the market. Upgrading product features and introducing latest technology Anesthesia machine, OT Table & OT Lights expand marketing throughout India & Abroad. “S S Health Care Products” is a house of medical appliances. The product of our concern is nursing under one roof. “SSHCP’s” all people represent himself as a member of “SSHCP’s” family. Our product quality is approved by the Government. SSHCP does not compromise in quality with this product. We are gradually representing over all large area. We provide service by our own Companies Service Engineer for our all manufacturing products. We provide International standard & economical price. 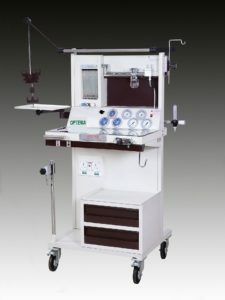 We can provide various range of Anesthesia machines. Product specification as per IS recommended. Adding leading edge technology to life care…through value added R & D.
SSHCP testing equipment are calibrated & certified by the Government institution. All health care equipment are tested in SSHCP‘s testing house not only companies style but company follows ISI & ISO testing procedures. We provide service backup … anywhere, anytime. Our products are third party guaranteed of BIS (Bureau of Indian standard). You will get Good manufacturing practice over here. We have representatives all over the India. Copyright © All Rights Reserved by SS Health Care Products.